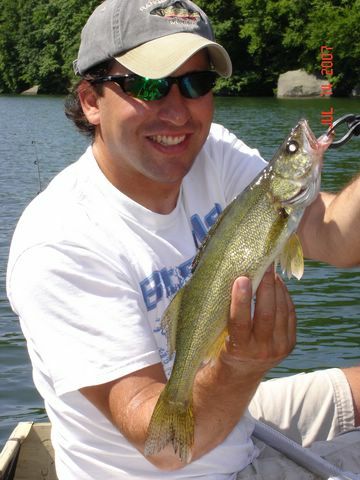 Below some pics of my first walleye. 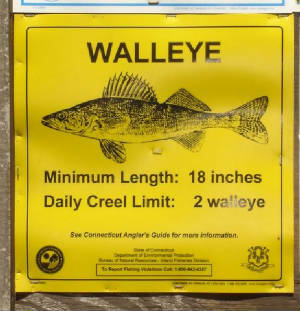 I have never caught a walleye and wanted to cross this species of my list. 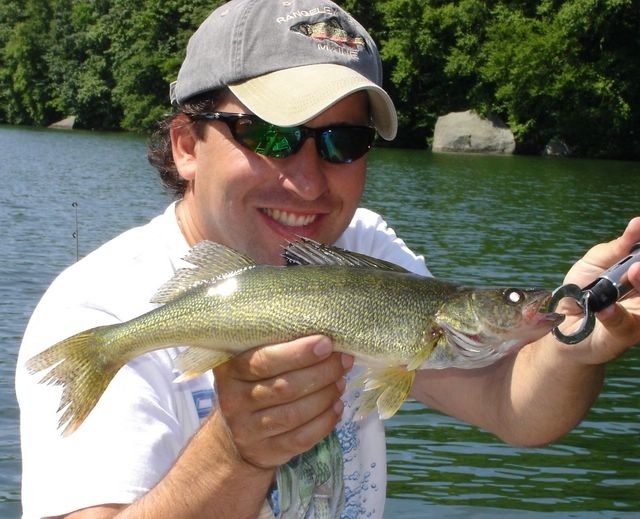 I looked for Local waters in my home state of Massachusetts but unfortunately MA does not have any ponds or lakes managed for walleye and the only place to target them with a realistic shot is the Connecticut river. 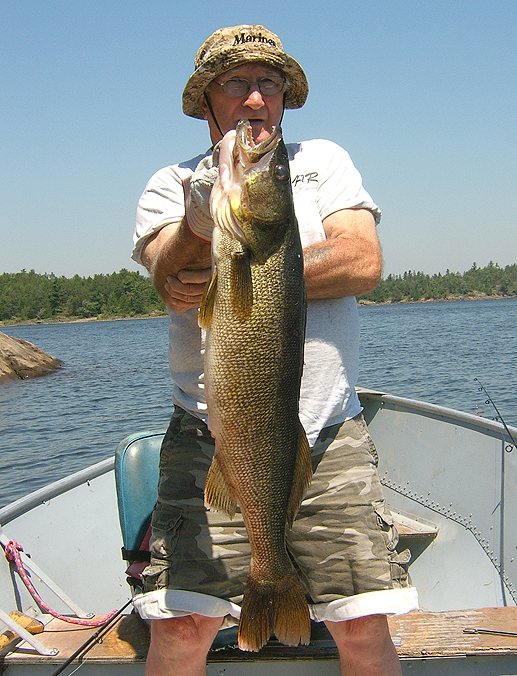 At the time only my canoe and trolling motor were available to fish with. Two guys in a canoe with an electric? I thought may not be such a good idea to use in a major unfamiliar river system. I decided to put this location on the back burner for another day. 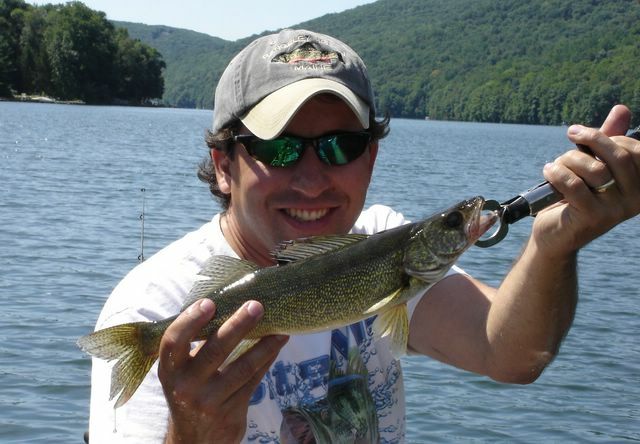 Instead I looked into the bordering state of CT and found many lakes managed for walleye. Picked one that sounded like the best option and off we went for a road trip. Along the way we stopped at a bait shop near the lake and when we mentioned to the owner we were going after walleye he told us it was a bad time to go after them and the bite for them had slowed down dramatically. After a 2 hour drive and a full Saturday to be invested it was discouraging to hear. He did go on to say that they were in there and you never know. I looked at by buddy Ray and we just shrugged our shoulders and just made the best of it. I ended up getting three walleye hook ups and unfortunately my buddy Ray did not have such luck. However we both did really well catching lots of numbers of other species of fish. 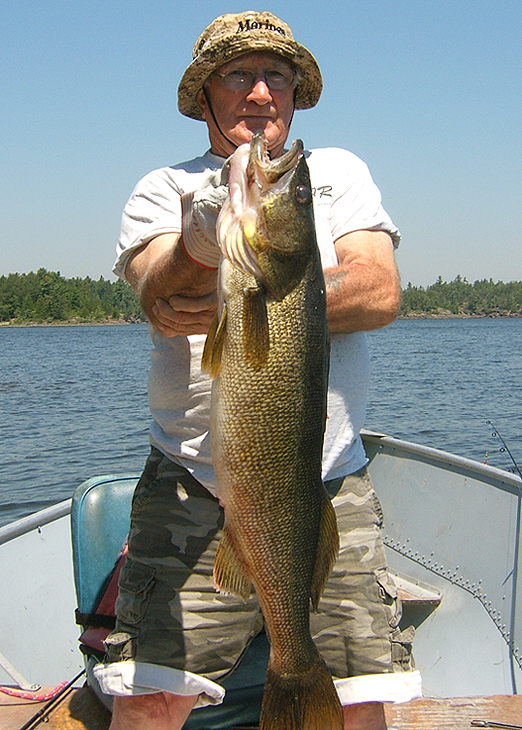 Though I did not catch any giant walleye it had been a successful trip. I get almost as excited when I catch something new as I do a trophy fish. This is definitely a species I will be targeting more in the future and I look forward to adding more content to this page, so don't forget to check back and look for more updates in the coming months.